Heroin addiction is just like a life sucking disease that gradually makes a person void mentally and physically. However, worry not, there are the treatments in the medical industry that can help an addict overcome this abuse and enjoy a sober life again. Since it is one of the most serious kinds of drug abuse, you need to be extra cautious when seeking for the heroin treatment for your loved ones. Heroin is an opiate which is quite a hard substance to quite once fallen prey to its clutch. It is so because heroin attacks directly on the brain of the users and makes a person senseless that he/she loses his wisdom what is right or what is wrong for him/her. The only thing that they can understand that time or the only thing that they want is just more and more amount of substance to satisfy their craving of taking sedatives. As the persons become more and more used to taking heroin, their level of addiction reaches higher and higher and this is how the addiction is formed. Since heroin is one the most addictive drugs in the world, it can be pretty daunting to get lasting recovery. However, recovery is still possible. Let’s take a look at some of the crucial things that must be done to get a successful heroin treatment. The road of recovery to heroin addiction is quite hard, full of hurdles and time taking too. It is not a short journey that can be measured in just a couple of days by taking a few medications or bringing a few changes in lifestyle. The first step of treatment starts from detox that helps the addicts to get their body to adjust without the impact of drugs. During this period the addicts have to experience several types of withdrawal symptoms like nausea, headache and so on. Even if the starting of the journey is quite hard that makes a person suffer several sorts of hardships, this process is mandatory as it makes a person realize there is a life without heroin too and they can even live without this sweet poison. Since overcoming heroin addiction is not so easy on the contrary intimidating, the rehab can’t be done at home. 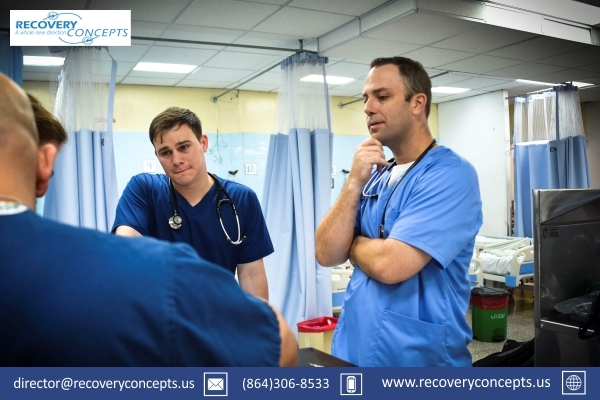 To get the successful recovery, patients need to enter inpatient drug treatment program given at a rehab center. In the rehab center, the addicts are given round the clock care and supervised by health care professionals that help them overcome the abuse by giving the needed therapy, counseling and medication. Once the person successfully overcomes the abuse and released from the rehab center, he/she needs to build up a support group and continue to meet with counselors at a regular interval of time so that they may get free from the risk of relapse. In this way, the addicts can successfully overcome the drug abuse and be an example for others.